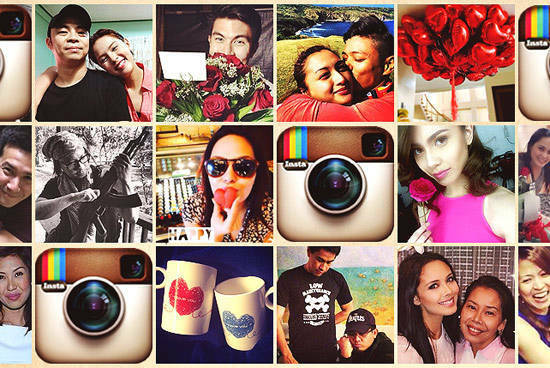 There was love in our Instagram feed. 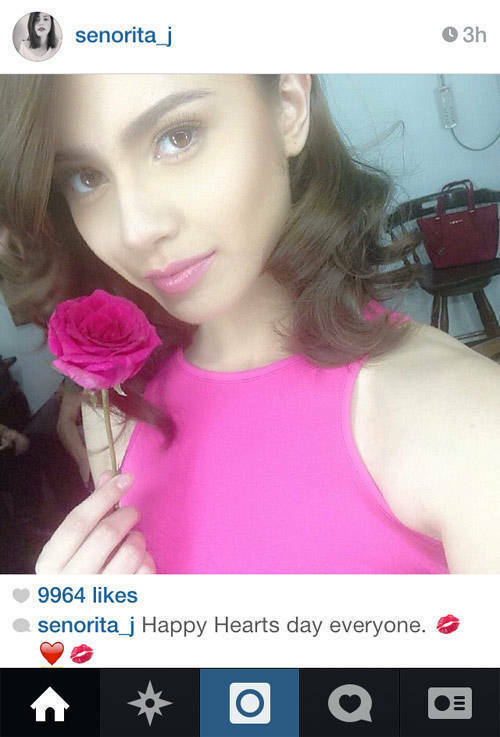 (SPOT.ph) Some got roses, some got cards. Some spent it with their special someone, but others just with a loved one. 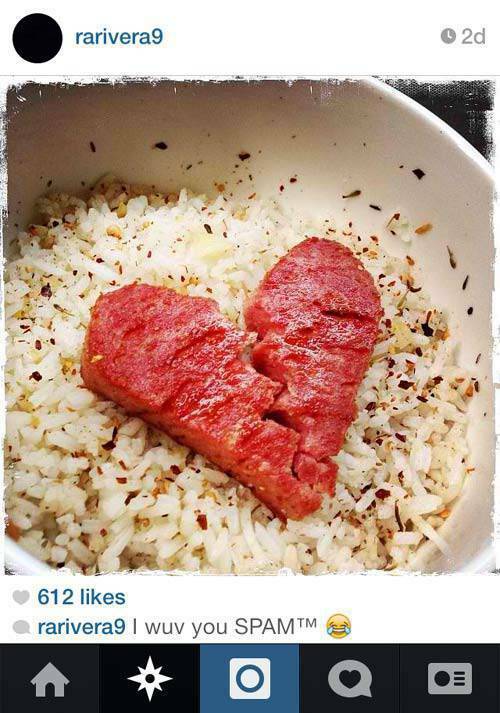 This year’s Valentine’s Day filled love in our Instagram feed. 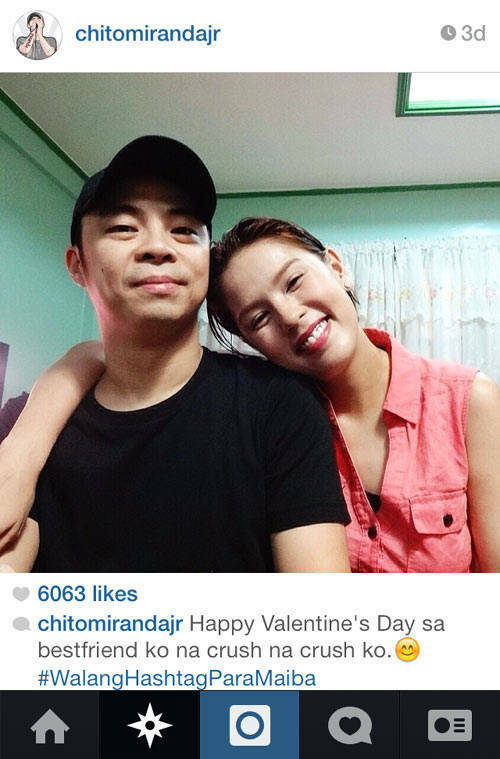 There’s a bit of PDA, but celebrities show that Valentine’s Day isn’t all about the romance. 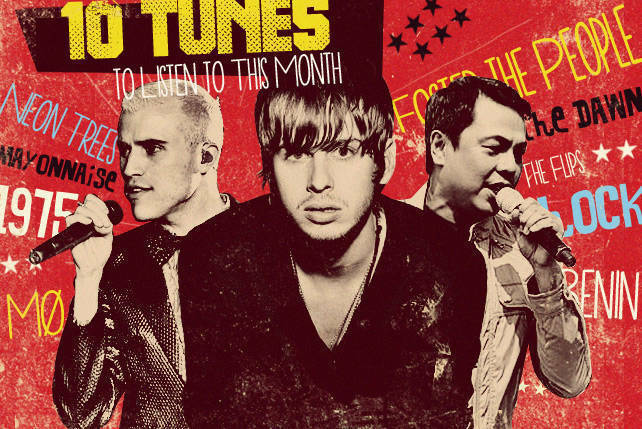 It’s about love. 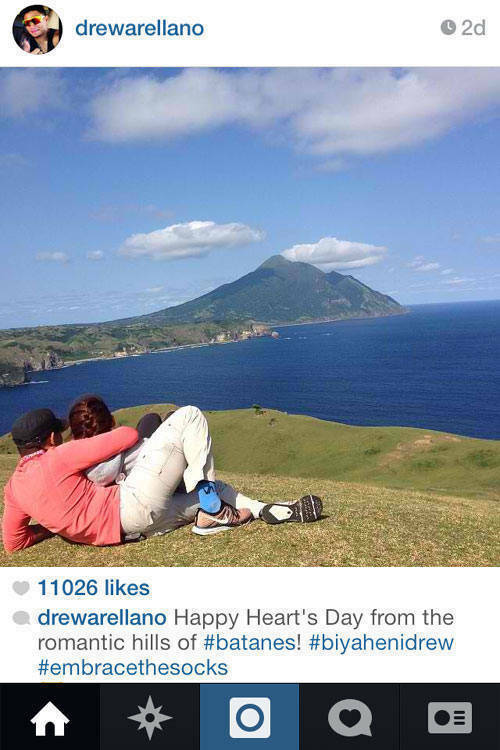 Newlyweds Iya Villania-Arellano and Drew Arellano spend V-Day weekend in Batanes, a place that Iya revealed was one of their wedding venue options. More Iya and Drew from the latter’s own account. 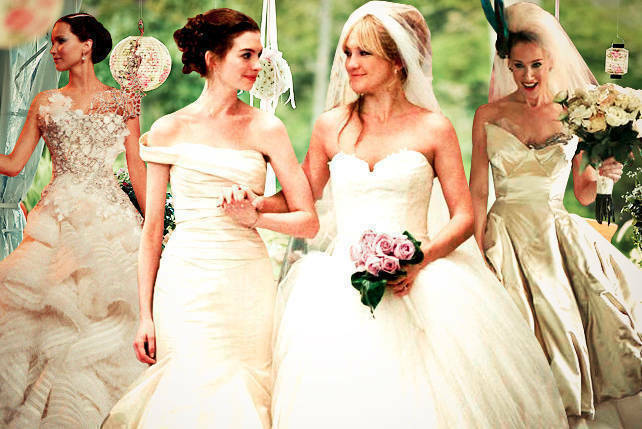 It’s a barkada celebration for this group of beautiful friends. 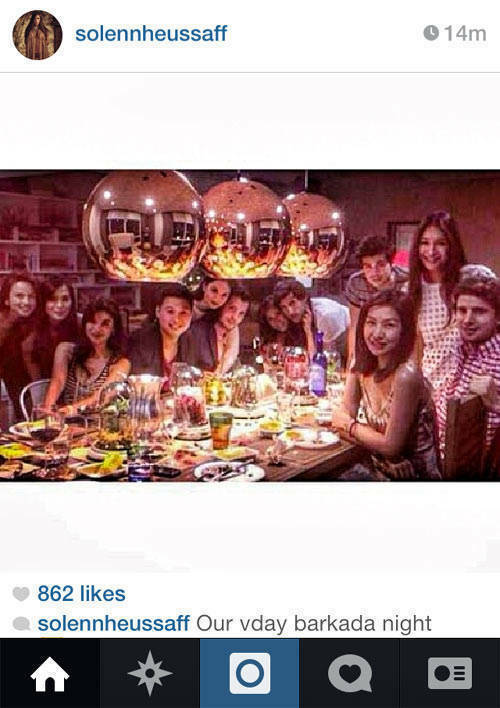 This photo was shared by Georgina Wilson, Anne Curtis, Solenn Heussaff, Liz Uy, and Isabelle Daza. 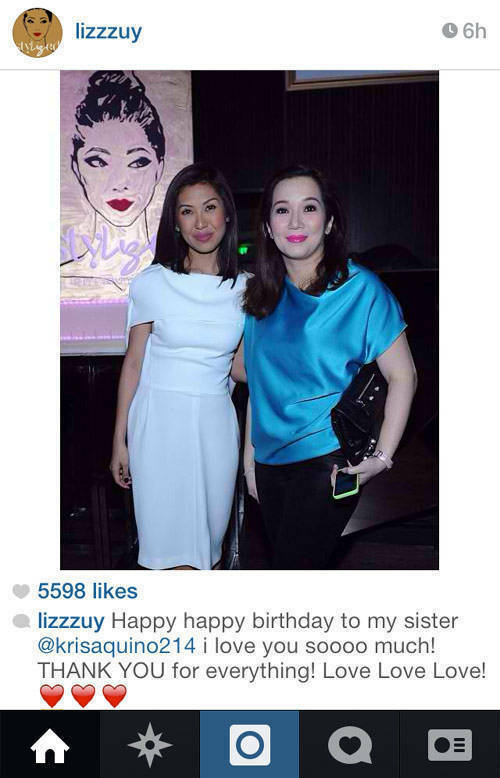 It may have been Heart’s Day, but celebrity stylist Liz Uy didn’t forget about Kris Aquino’s birthday. 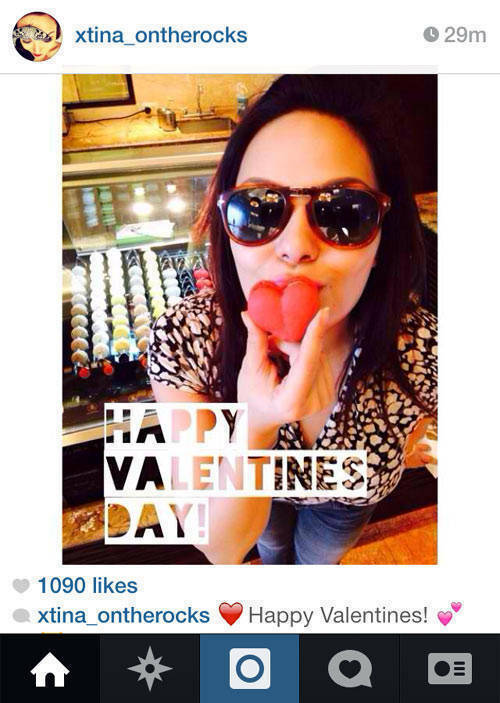 Speaking of Heart’s Day, it’s Heart Evangelista’s special day, too. 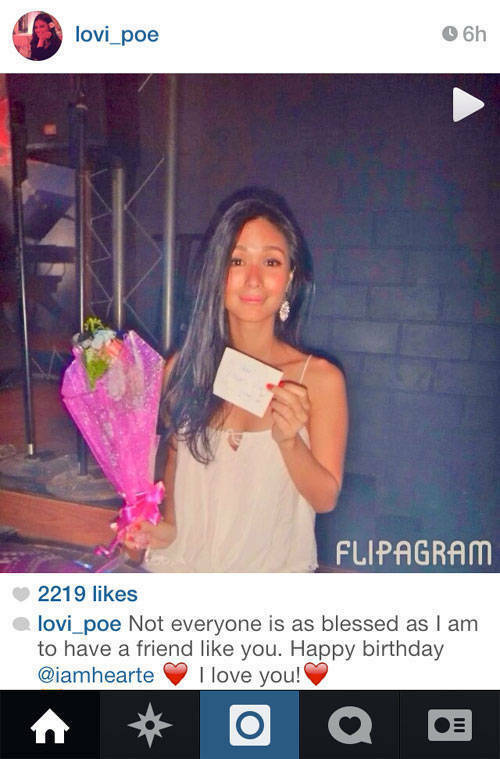 BFF Lovi Poe shares this little greeting on Instagram. 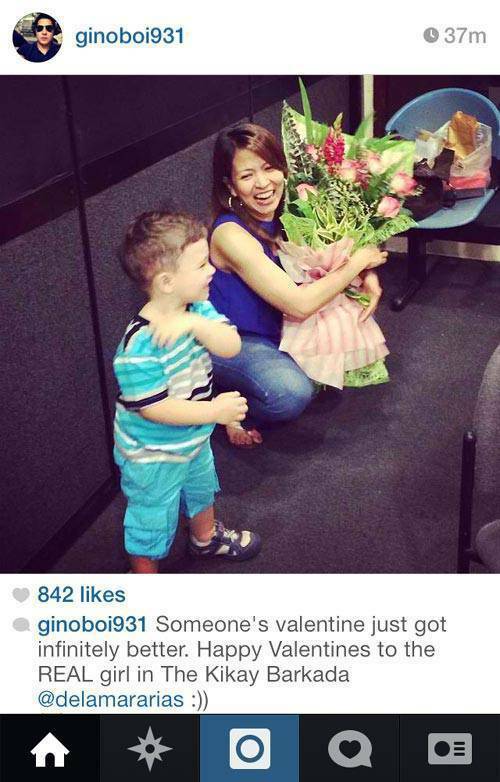 Gino Quillamor snaps a heart-tugging moment of fellow The Morning Rush DJ Delamar Arias and her Valentine, son Cooper. Forget bouquets. 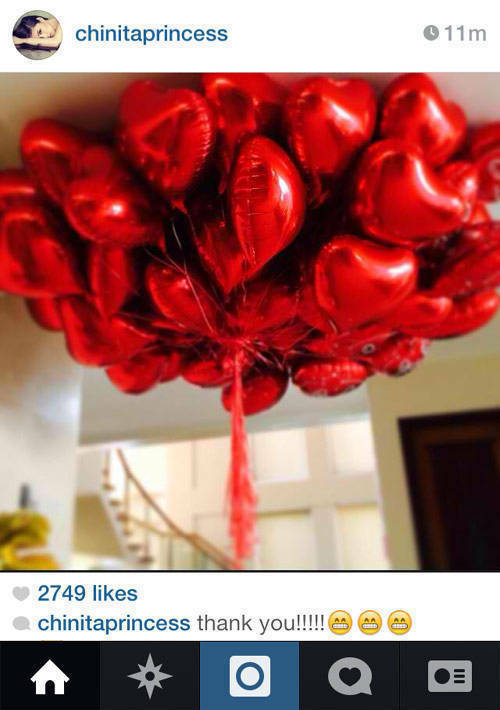 The Chinita Princess (Kim Chiu) received an entire ceiling of heart-shaped balloons. 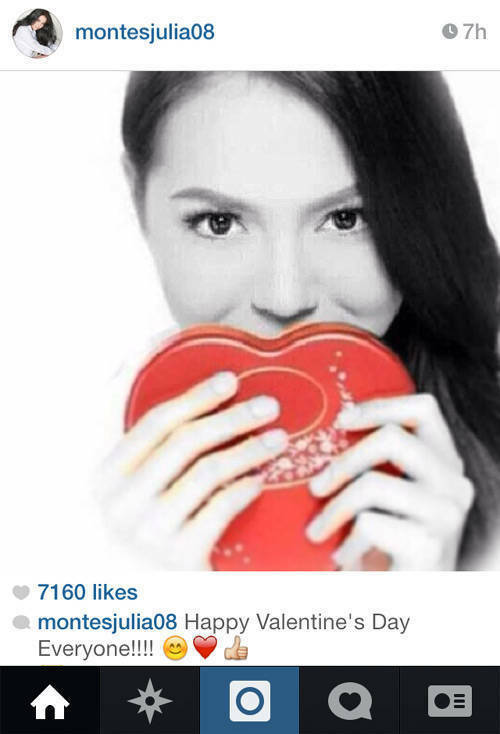 Who wouldn’t fall in love with this sweet greeting from Julia Montes? Or with this sultry one from Maria Mercedes? 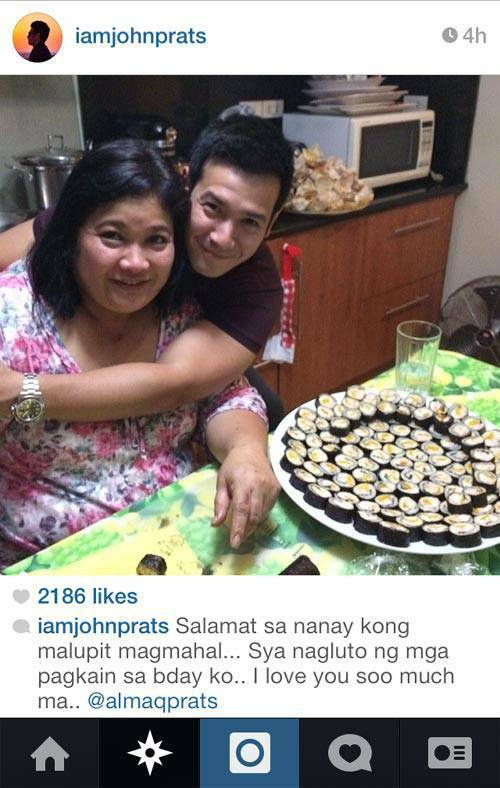 Birthday boy John Prats shared some photos he took with his lady love Isabel Oli, but it’s this moment with his mother that touched us the most. Uh-oh. There might have been a little too much heat for this poor dude’s celebration. Photo courtesy of DJ Tony Toni. 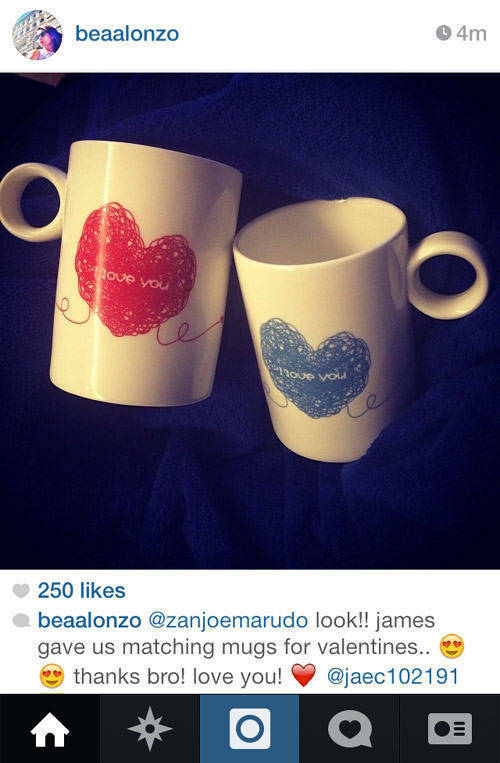 Bea Alonzo reveals this matchy-matchy mug set she’ll be using with beau, Zanjoe Marudo. 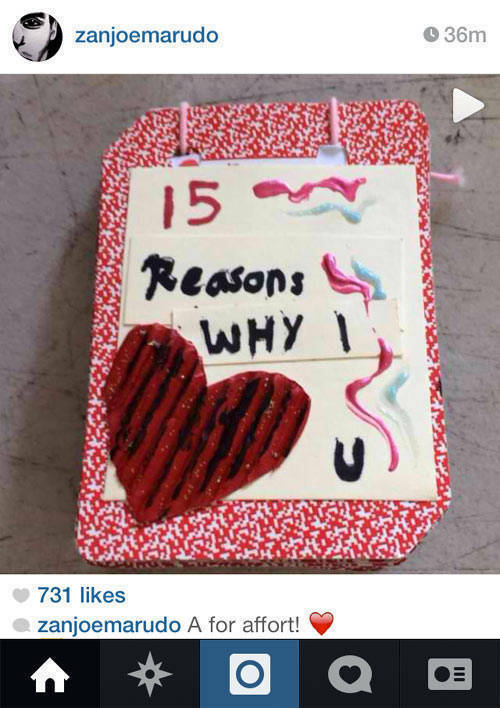 For his part, Zanjoe Marudo posts a video of a card made by his Annaliza co-stars. 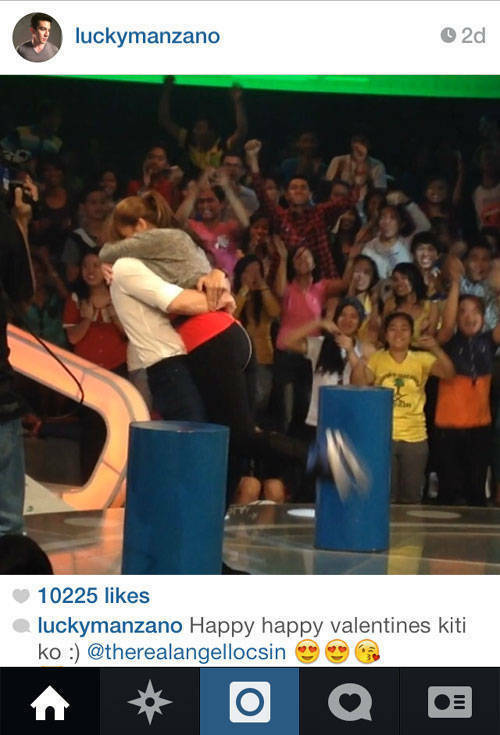 Luis Manzano formally announced that he is back together with old flame, Angel Locsin, on Sunday’s episode of The Buzz. 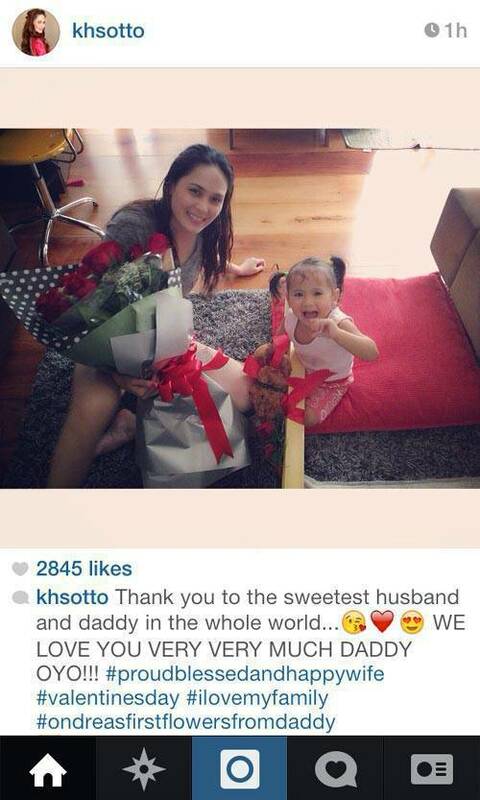 But after this cheesy display on Valentine’s Day posted by the beautiful actress, no one was surprised. 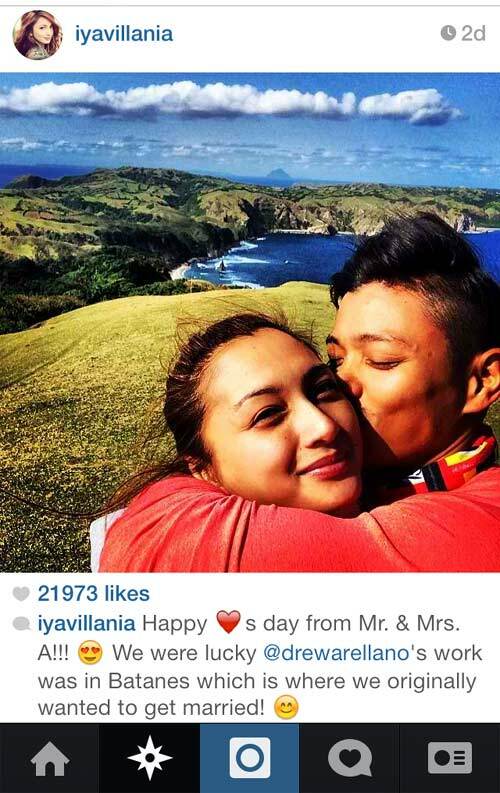 And if you doubt their love, check out Luis’ photo. 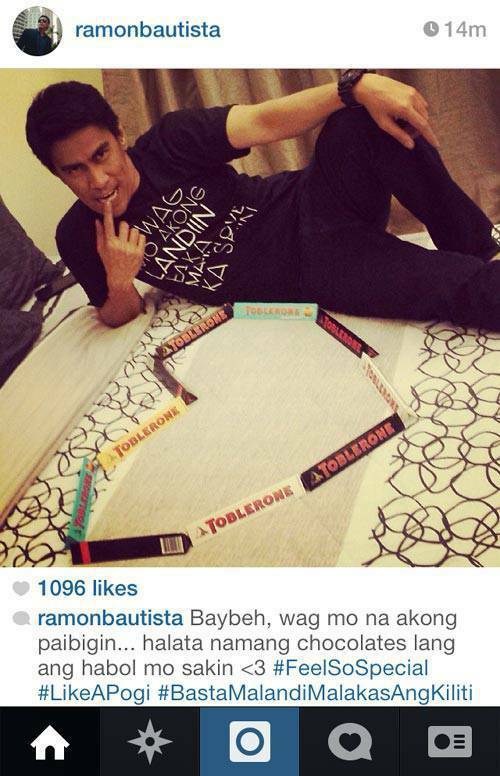 It’s humor and chocolates for Ramon Bautista. 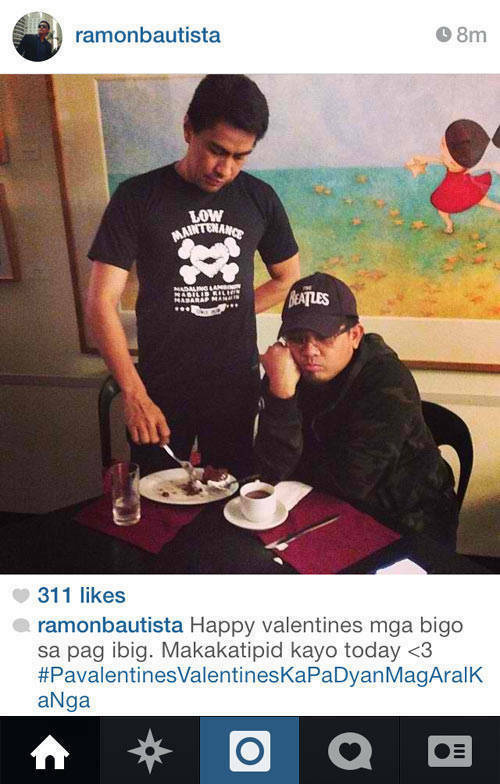 Ramon Bautista also gives singletons a reason to be happy this Valentine’s Day. 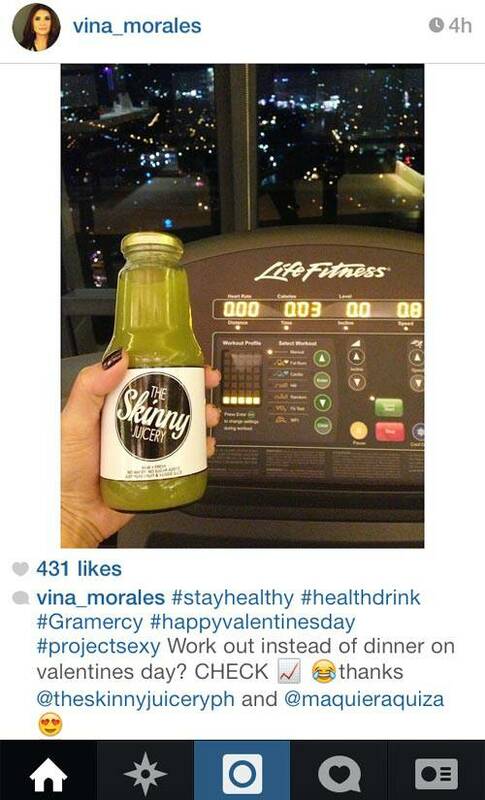 We don’t wonder how Vina Morales keeps in shape. It’s Valentine’s Day, woman! Have a chocolate. No excuses! 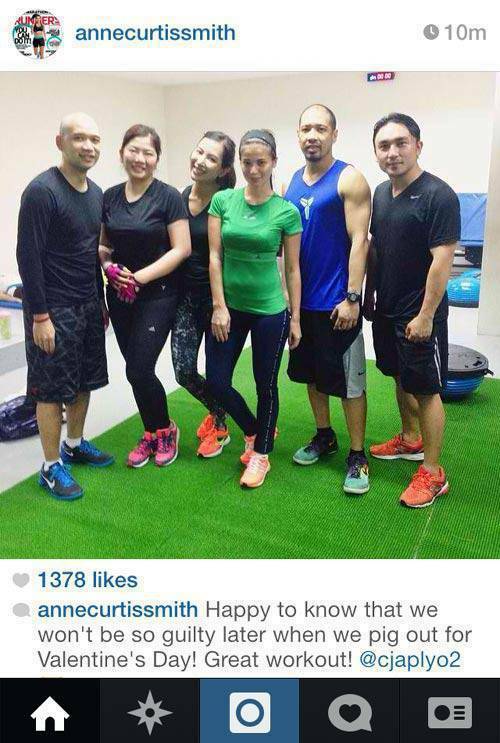 Anne Curtis works out before a celebratory binge with the gang. 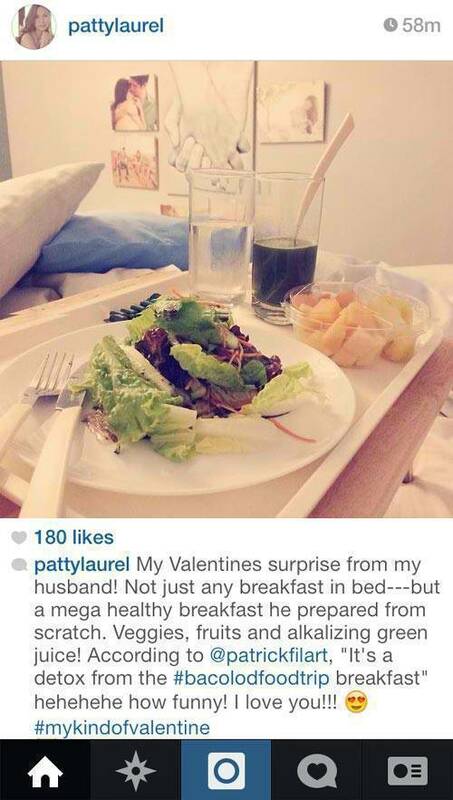 Don’t we wish we could have a husband like Patty Laurel’s? We want breakfast in bed, too! 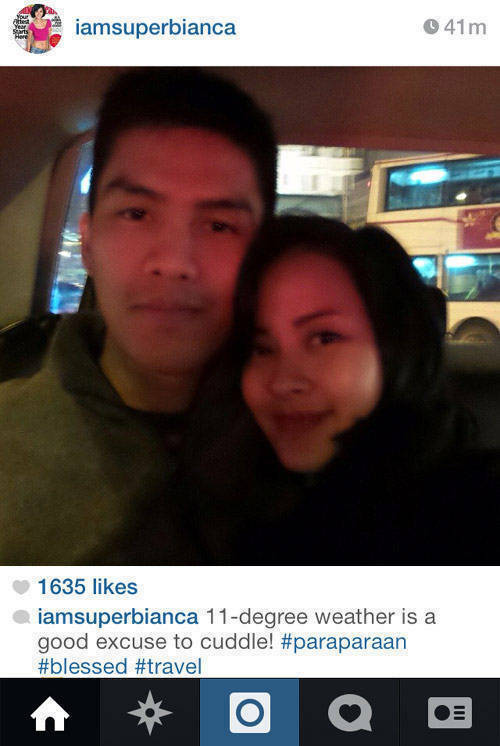 It’s cuddle weather for Bianca Gonzalez and long-time love, JC Intal. 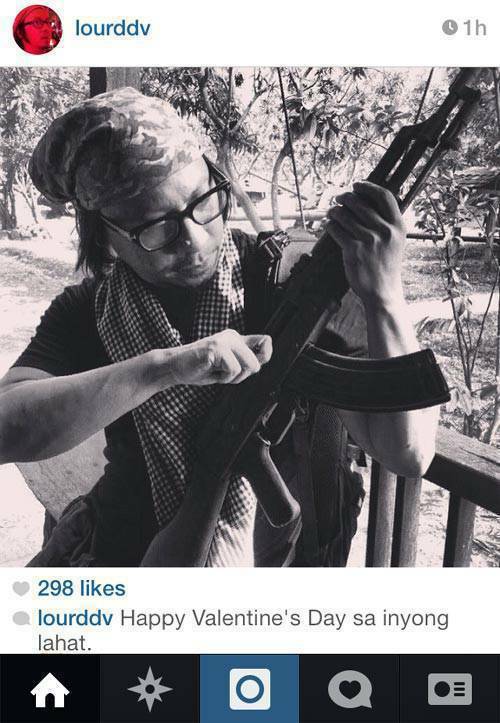 Here’s Lourd de Veyra making the world fall in love with him. 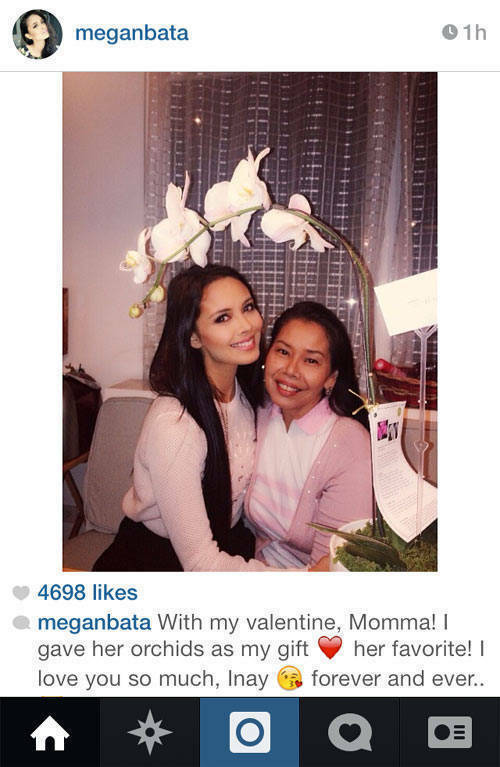 Ms. World Megan Young shows us that V-Day isn’t all about romance. 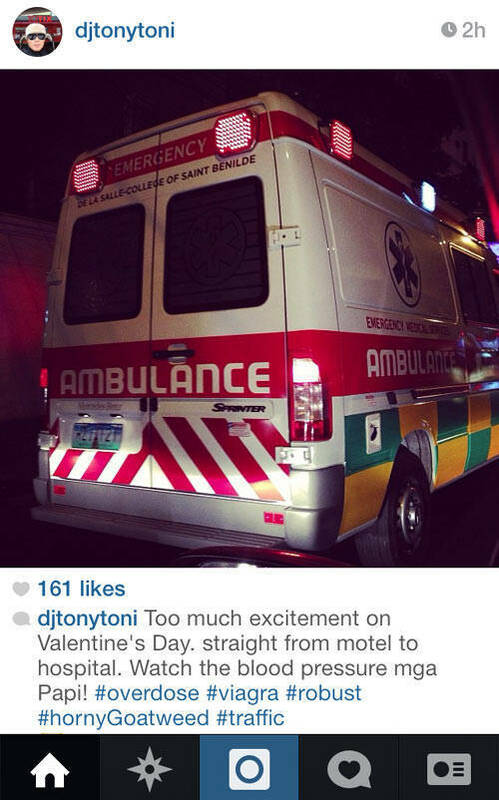 Oyo Boy Sotto gives his two ladies a special treat for Valentine’s Day. No controversy can shake these two lovebirds. KC or the macaron? We can’t decide which is sweeter. There’s no broken heart Spam can’t heal.